Your living room will be a central place in your home, an area where you will entertain friends and family as well as spend some quality private time. We know how important it is to have the living room you want, one that matches your design ideas and personality. That’s why we’ve gathered more than 25 stunning luxury living room ideas for you to browse through. Let’s just say, your possibilities are endless. 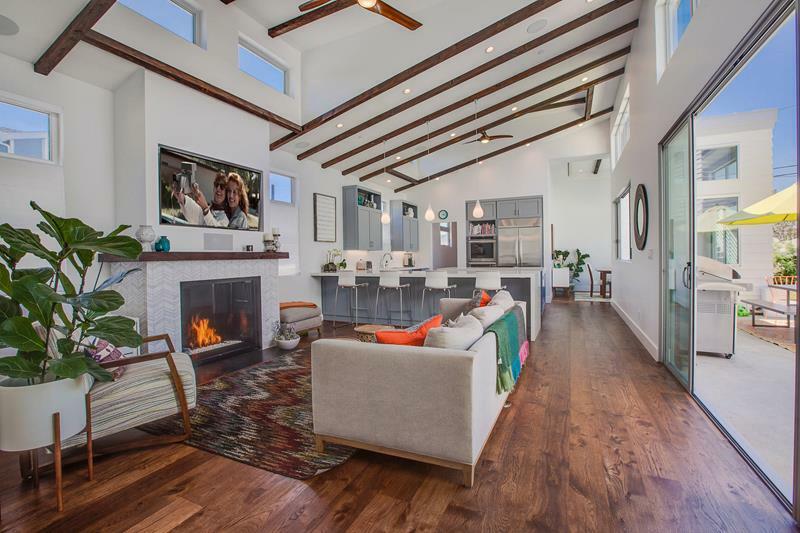 You will see living rooms that have vaulted ceilings that maximize the natural light as well as living rooms that blend the best of classic and contemporary design styles. If you are planning to build a new home or are redesigning an existing one, you’ll want to take some of the ideas you see below. A vaulted ceiling, windows that let the natural light pour in, and a beautiful color scheme all make this living room a dream come true. The windows in this living room really make the whole space shine in natural light. We live the traditional style of the room and the furniture pairings are perfect. 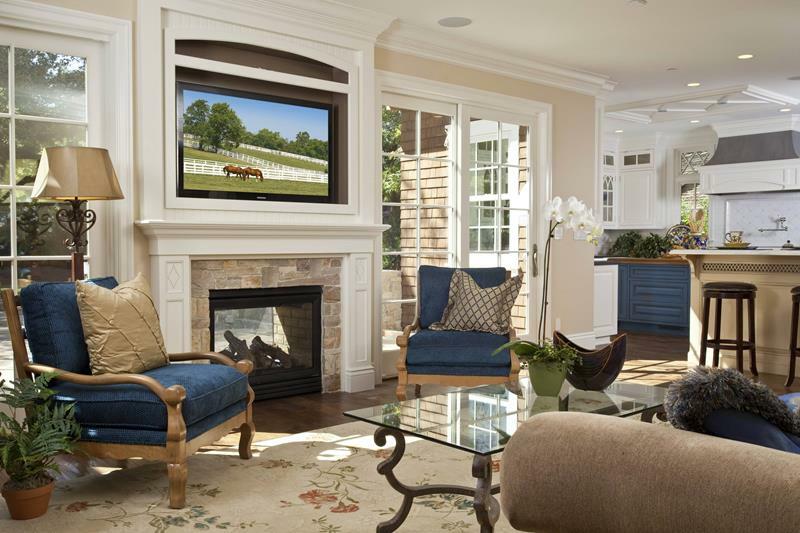 Though it isn’t overwhelming, this living room has a quiet country charm that works so well. The calm atmosphere is created thanks to the furniture choices. This fantastic living room has a Southwestern style that we love. 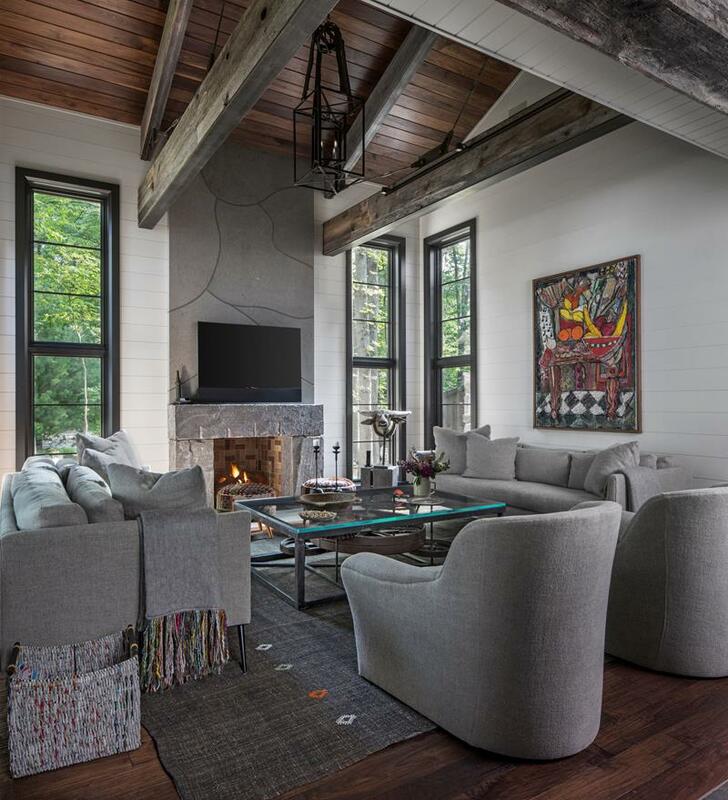 The exposed beams in this vaulted ceiling, the abundance of natural light, and the furniture all work together to create a great environment. The stacked stone fireplace in this living room steals the show, but lets not forget how important natural light is to this environment. There is plenty of it here. We love the light in this room and how well it shows the overall style. 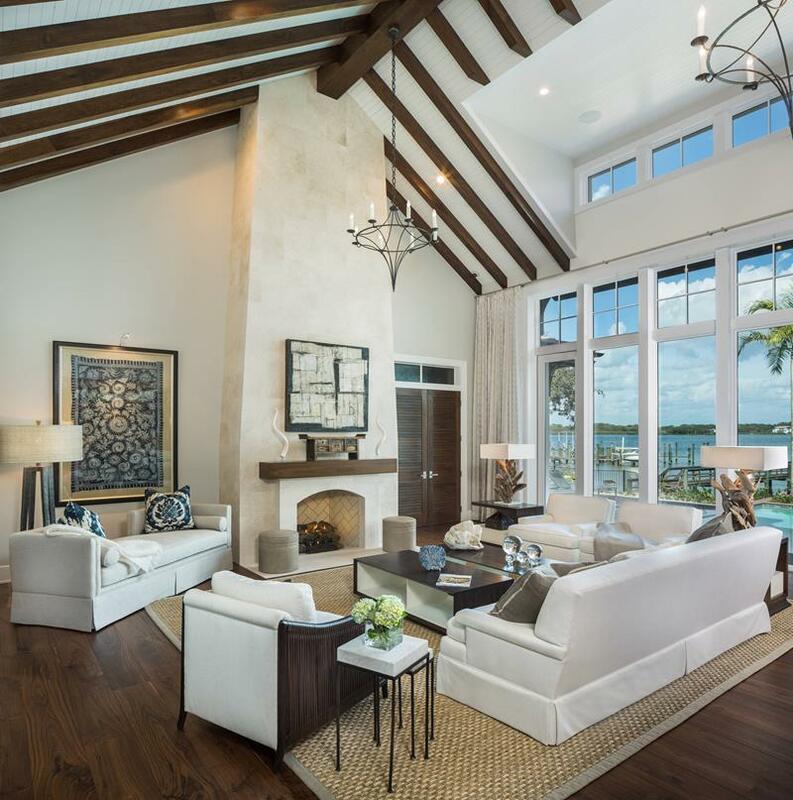 The exposed hardwood beams are matched perfectly by the furniture and decor. This is a wonderfully creative fireplace area, one that incorporates more than one room in the house. We love how open this space feels thanks to the large windows. 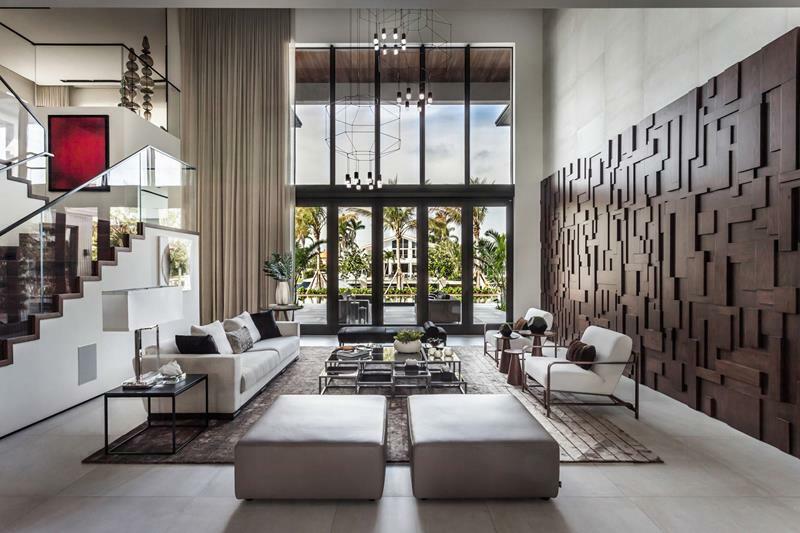 Living rooms that take a modern sense of style can be amazing, and this one certainly is. With contemporary furniture and a wonderful hardwood design on the wall, this room is great. 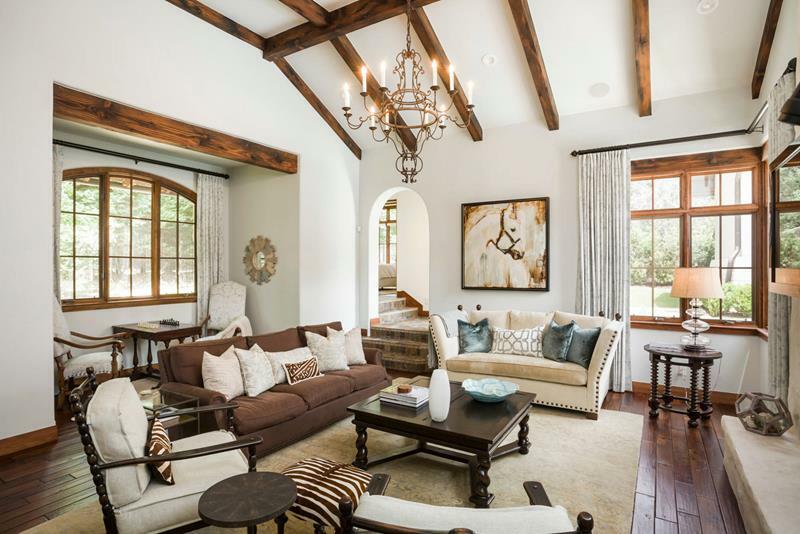 With a pitched ceiling and wonderful hardwood beams, this room has the perfect matching furniture. This space make the whole room feel natural. 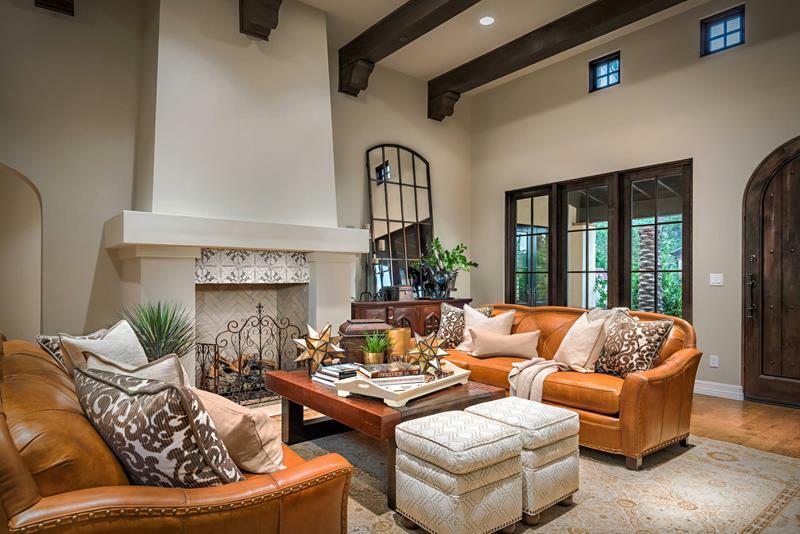 The hardwood beams and trim throughout the room really make give this space a Southwest, desert style. It is charming and beautiful, creative and light. This living room has a unique design style, bringing a certain elegance that can’t be matched. From the decor and furniture to the color choices, this room is great. Photo by Marilee Bentz Designs, Inc. This living room is the center of attention, connected easily to the rest of the house. It takes a light design style and really comes with the elegance. With a Victorian sense of style with the furniture, this living room is open and luxurious. We love the arched bookshelves and how they lend to the sophistication of the room. What a beautiful set of windows. 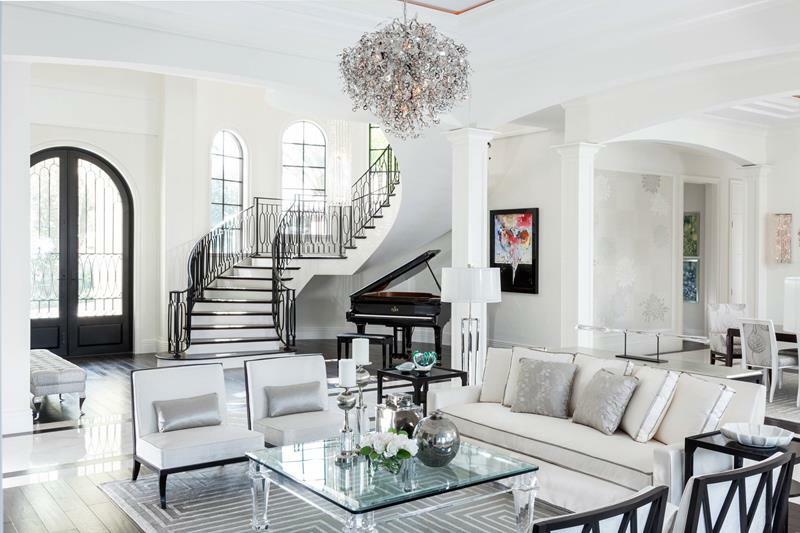 The natural light pours into this simply elegant living room, complete with a light color scheme. We love designs that let you open up entire spaces to combine the indoors with the outside area. You really expand the space you have to host get together. We love how extended this living room is. The whole space is functional, giving you areas to work, relax, and chat. 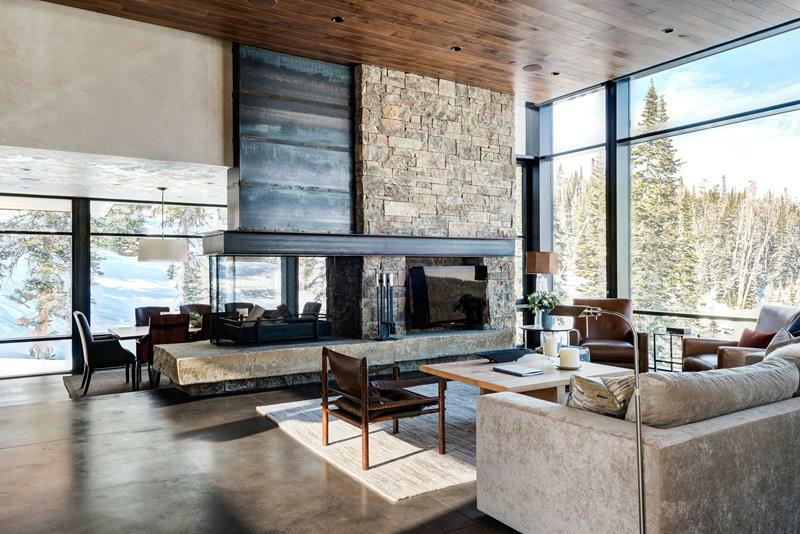 This living room takes some great materials and combines them into a masterpiece. 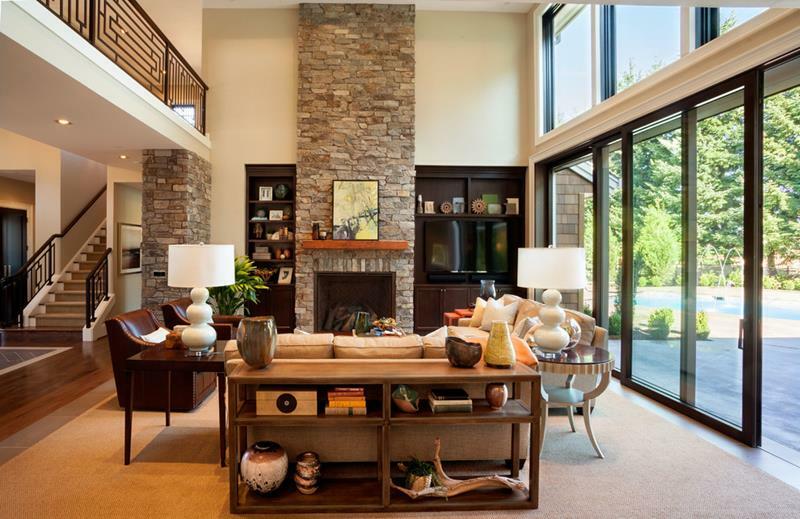 The stacked stone fireplace and column really work well here. Photo by Eric Miller Architects, Inc. 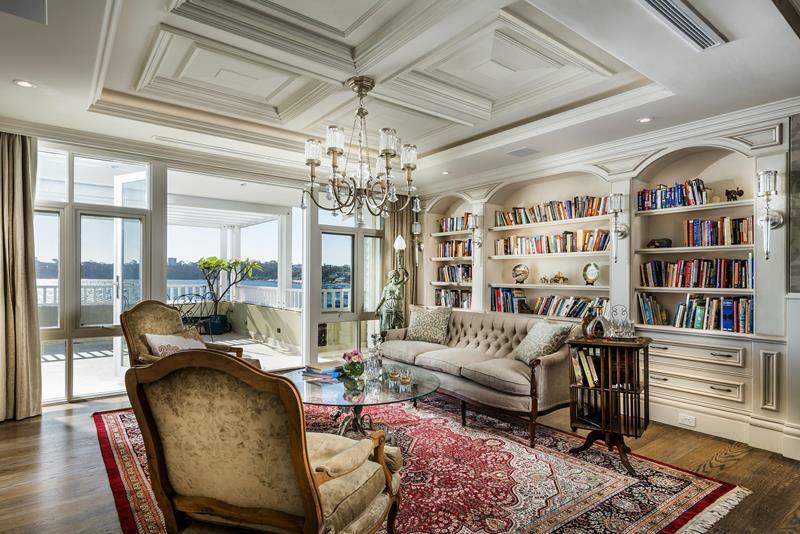 This living room has a beautiful bay window area that is perfect to curl up in with a book. The whole space uses great light furniture to balance with the hardwood floor. Photo by Spire Integrated Systems Inc. This space has a modern color scheme that fits into a rustic shell. We love the gray tones and how well they match the hardwood floor and ceiling. 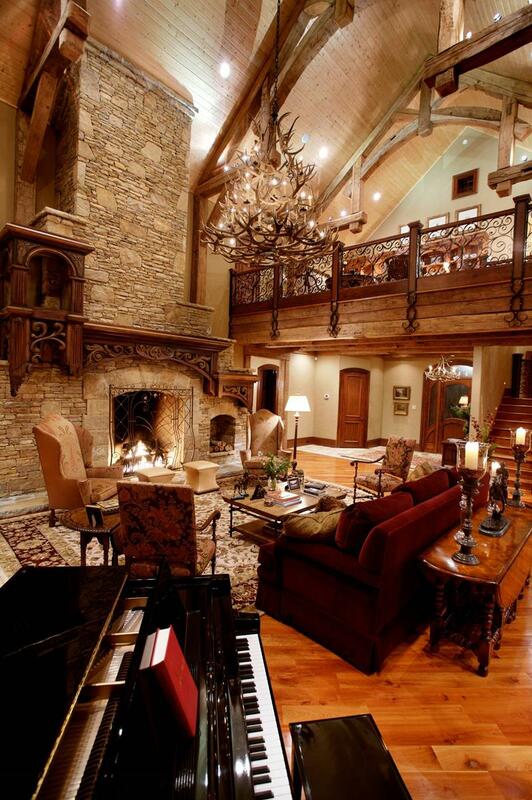 There is no way to overstate how luxurious this living room is. It is warm and well designed, like a luxury cabin that is meant to entertain and comfort everyone. We love the hardwood beams overhead here. They work so well with the hardwood door and trim around the window. 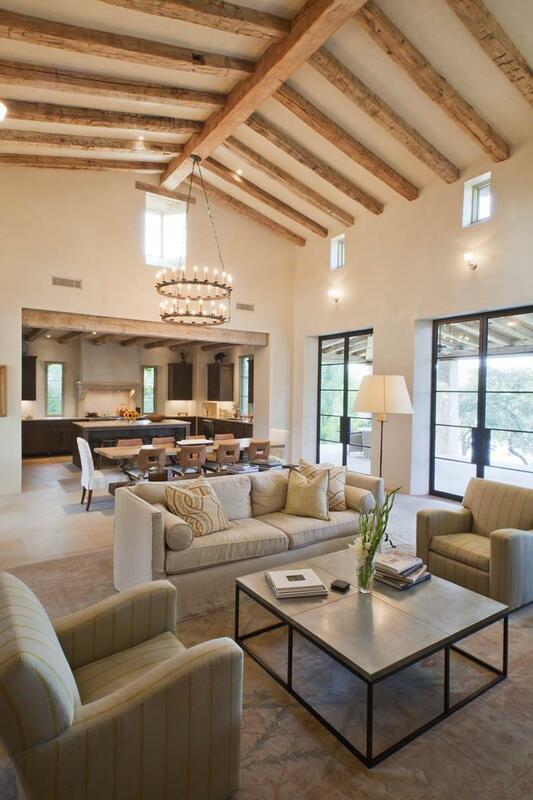 The Overall design and furniture style here is a perfect ode to Southwestern style. 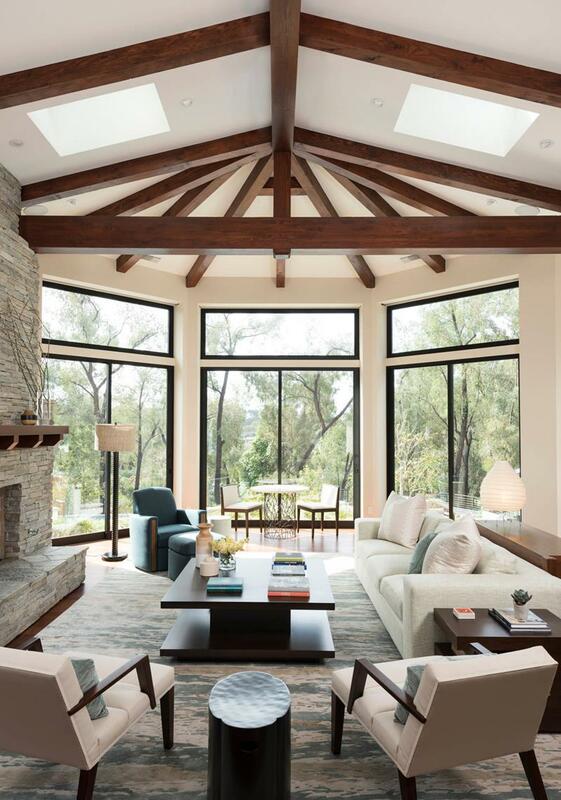 This half vaulted ceiling rises to give this whole area a completely open feeling. We love how modern this space looks along with how well the hardwood gives the whole room character. 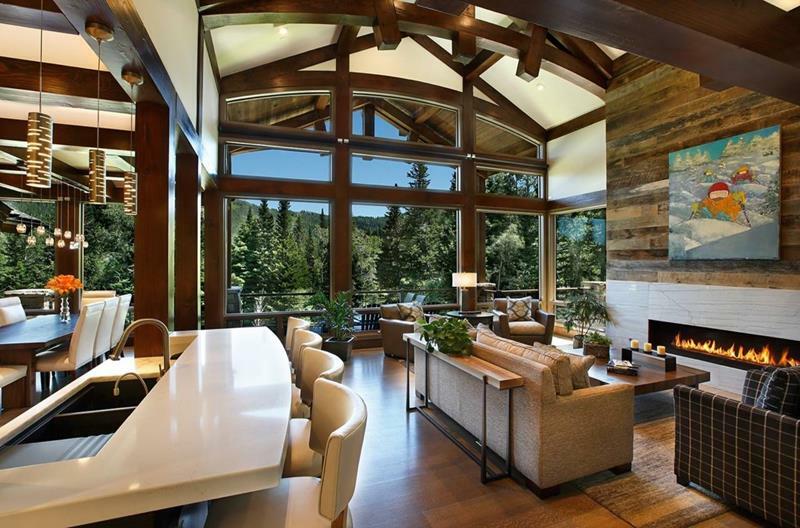 This space is a luxurious cabin living room, the essence of mountain living. The hardwood styles, from the floor and walls to the beams overhead, all bring character to this house. We love how this whole are connects the living room, dining room, and kitchen. 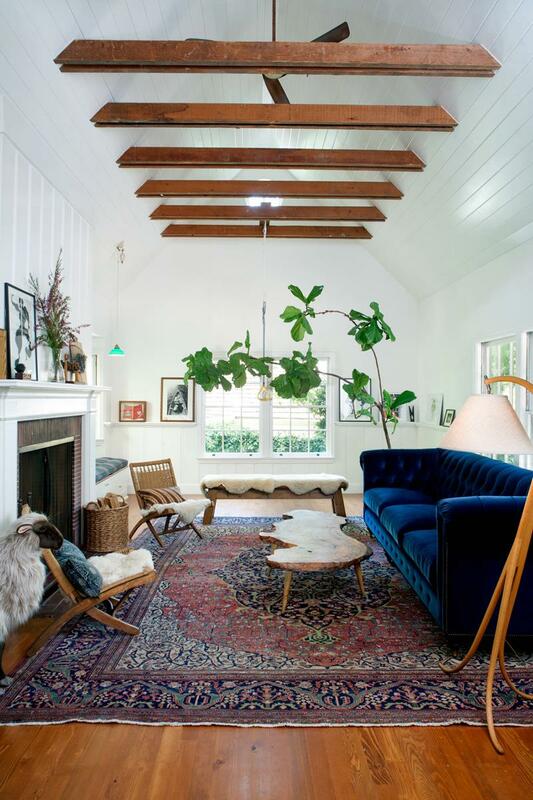 The ceiling is high and has great exposed hardwood beams, bringing a wonderful sense of style to this space. There is no way to overstate how well this cathedral ceiling works. The hardwood is simply magnificent and the natural light pours in to give the room life. 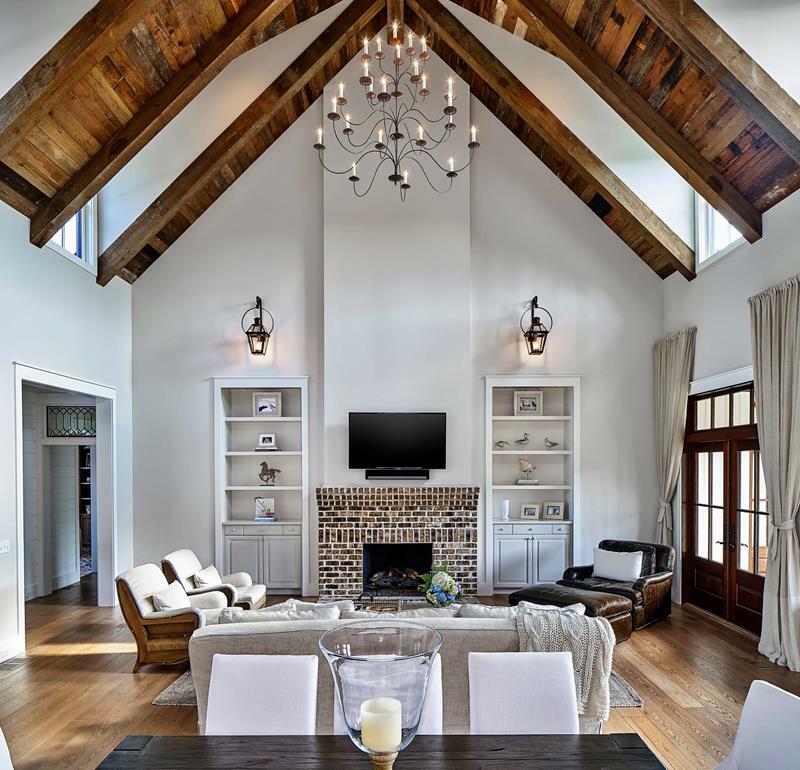 The natural light shines in to show off the wonderful style created by the hardwood beams overhead. 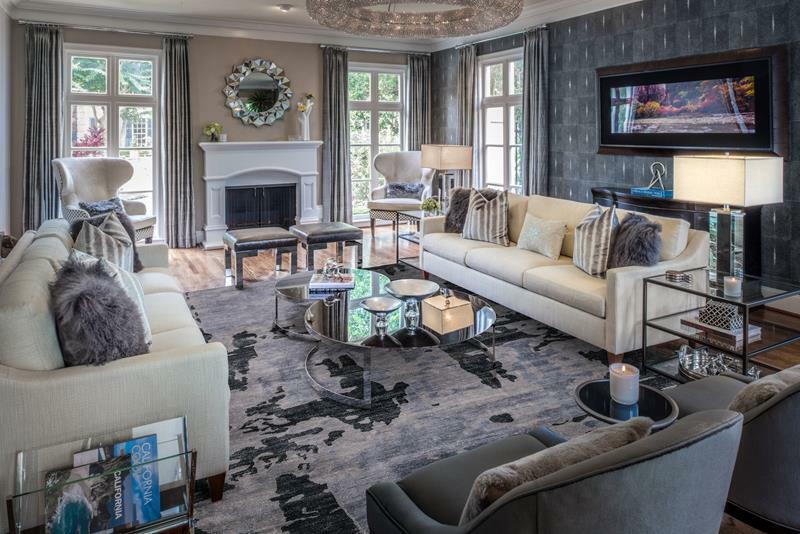 This living room has the furniture to match, bringing a contemporary vibe.